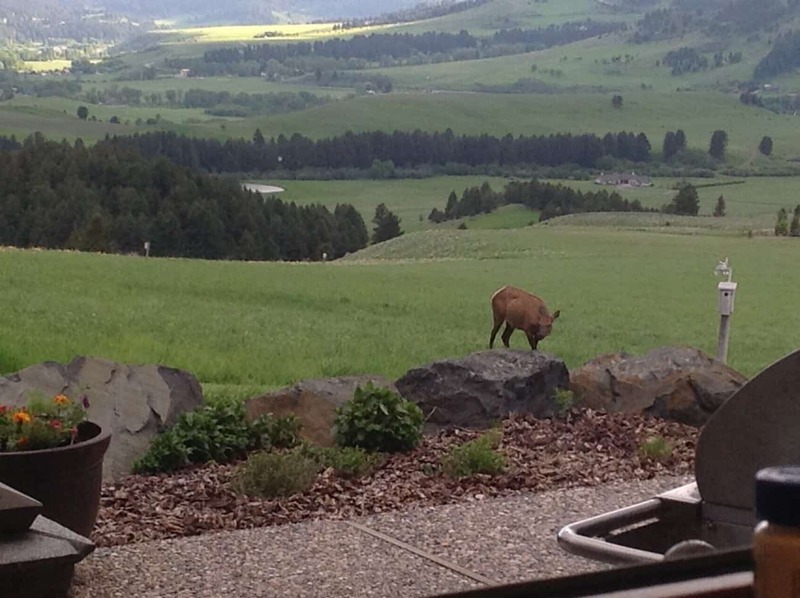 Home » Bozeman Montana Real Estate Blog » Real Estate News » What’s outside your backdoor right now? What’s outside your backdoor right now? 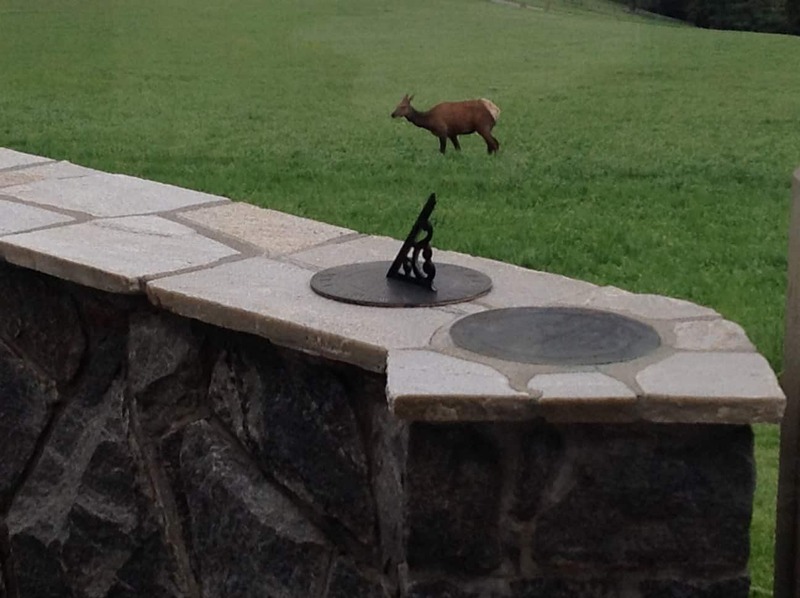 What’s outside your backdoor right now, as Spring eases into early Summer? Peonies and iris blooming? Aspen trees velvet green with leaves shimmering in the gentle breezes? How about soon-to-be-momma elks? 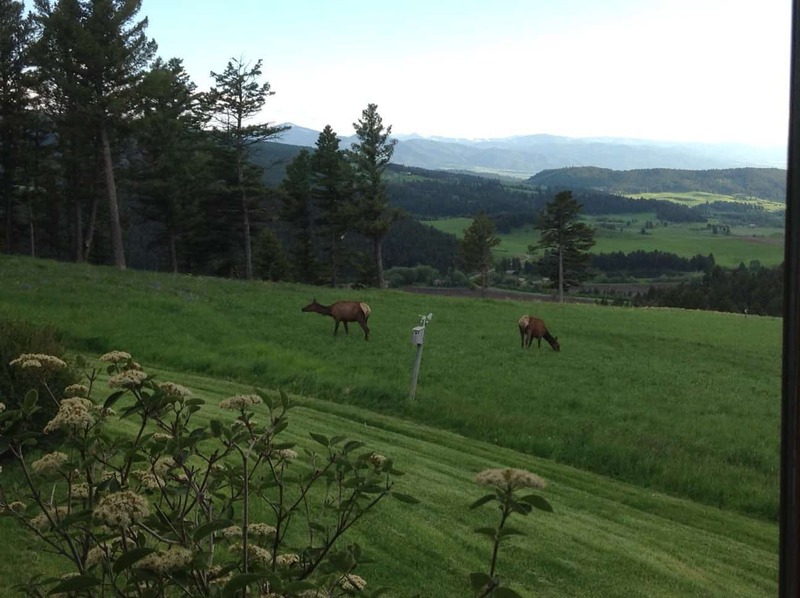 The grass is lush, they are feeling protected and happy, and in a few days little baby elk ears will be peeking up above the grasses. There’s no place like Montana, and few places in Montana as special as Tepee Ridge, a slice of heaven nestled into Bridger Canyon, just outside Bozeman. 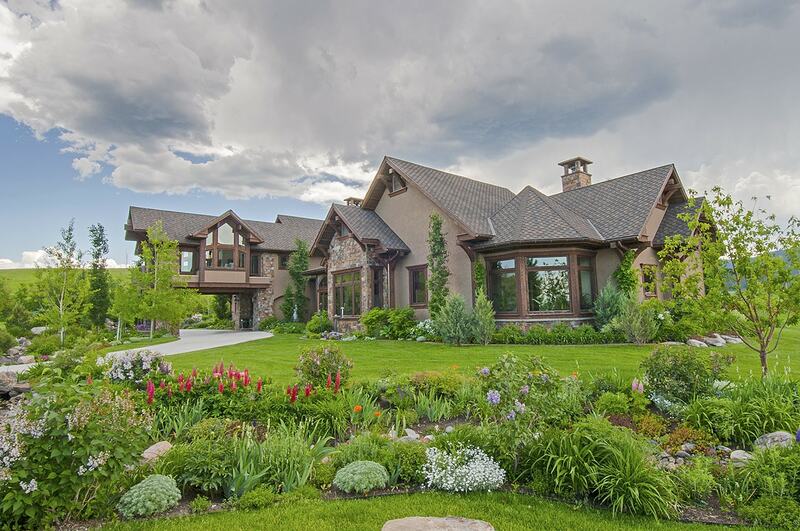 Platinum Properties represents a gorgeous 64 acre estate on the upper bench of Tepee Ridge, with views that take your breath away. 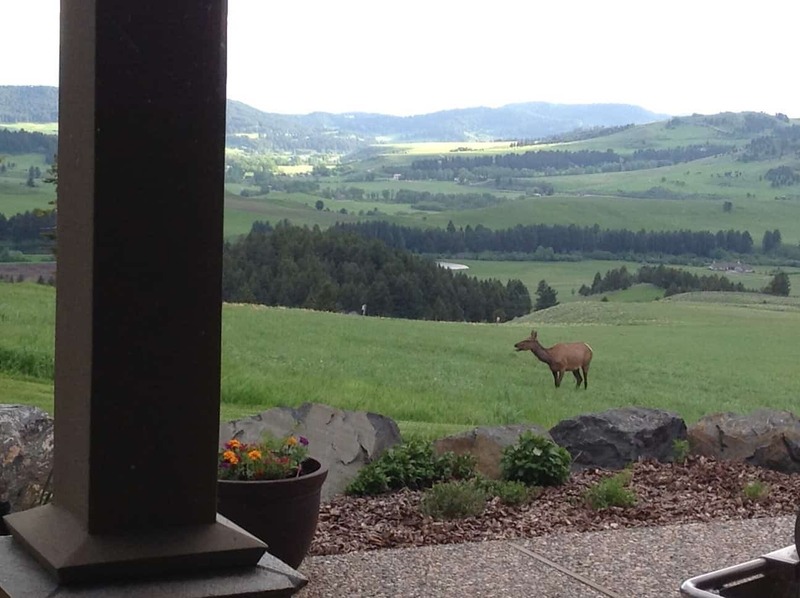 These days, the views are somewhat eclipsed by the herd of elk and all the new life. And, just think,you could call this your new home and be taking these kinds of snapshots on your iPhone! Comments Off on What’s outside your backdoor right now?